So when the 2nd Baker's Dozen Agent Auction opened this morning at 10am, I started out in awe of Authoress and Jodi Meadows who worked so hard to whittle down all those entries and extremely grateful that my entry for THE STARS FELL SIDEWAYS was chosen. I didn't make the cut last year, so that was already a huge honor just to be listed along with the other wonderful writers. I got a TON of really helpful critique comments leading up to the start day and I'm totally thankful for everyone who took the time to comment on my little book. I knew my logline was off, and didn't know how to fix it (even editors are too close to their own work sometimes!) and some very wonderful people gave amazing help. All in the spirit of community. And then five minutes later I got another bid. From another agent. I about died with happiness. And a minute later there was another bid, from ANOTHER agent. And a minute after that, the first agent bid again, doubling the amount of requested pages. Lots of congratulatory tweets came in, lots of SQUEE-ing went on, and I'm pretty sure I freaked Mollie Pup out with all my gasping and yelling and general celebrating. I turned into one of those authors that goes spastic. I seriously thought that I had fallen asleep and that I was going to wake up and all of the happy would be gone. I was afraid to tweet. I could only send thank yous and O_O out. I was in awe of the first agent, Lauren MacLeod, who felt so passionate about it that she took the risk to bid against herself (the other agents might've been waiting to sneak in the full request first!) all the way up to A FULL REQUEST. Less than half an hour in and my auction was closed. I didn't have any words. And then I found out that DNA's own Erica Chapman got a full request too! The seriously amazing thing about today was how much hope was floating around. Everyone was encouraging and really enjoying the playful banter of the agents and dreams were realized. How many people can seriously say that three agents fought over their book? How many people get full requests less than half an hour in? I'm totally in awe of everything today. And so I did what any writer would do in that situation, and I took a nap. Six hours later, I woke up and refreshed my auction page repeatedly. Maybe the agents got confused in all the excitement and bid on the wrong book. Maybe they'd find something wrong and I'd be disqualified. Maybe this, maybe that, maybe I had dreamt it after all. Me, the agent intern, the one who should know better, who knows that agents are real people too, couldn't even look at the agent profiles without spazzing and stressed about replying to a DM one of the agents sent me. I totally get it. I have a newfound respect for the spazzy authors out there. It was all I could do to keep it together. 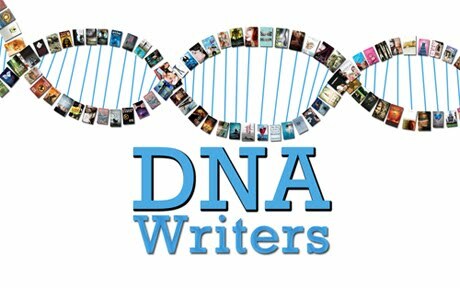 Huge thank yous go out to my fellow DNA ladies. I wouldn't have got this little book written without you guys, especially Shelley and Brenda and Erica. Big thanks to the writing community at large for being so amazing. And OM freakin' G, HUGE congrats to Erica for her own full request! C.A. Marshall is a freelance editor, lit agent intern, YA writer, and loves to play with her dog Mollie. She dreams of one day owning a small house near the water, preferably in England, with a shelf full of books she has written and has helped others to write. She is currently single. And unagented. 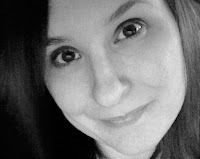 She can be found in Emmett, MI, at camarshall.com for writing, editorcassandra.com for editing, and on twitter @CA_Marshall. Ha. I bet you thought I was going to say UGLY up there in the title. Gotta switch it up once in a while! 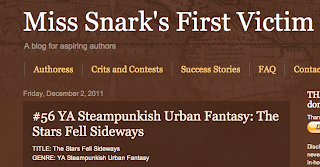 I know it's been like a century since I've blogged here. Did you miss me? So. 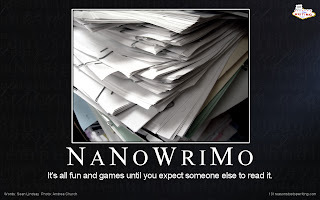 Since NaNo is now officially concluded I thought I would share my thoughts. I didn't finish. I know. I've finished the last two years, but I got a little sidetracked this year. It happens. But... there are a lot of great things I've learned about NaNo in the past three years of participating. 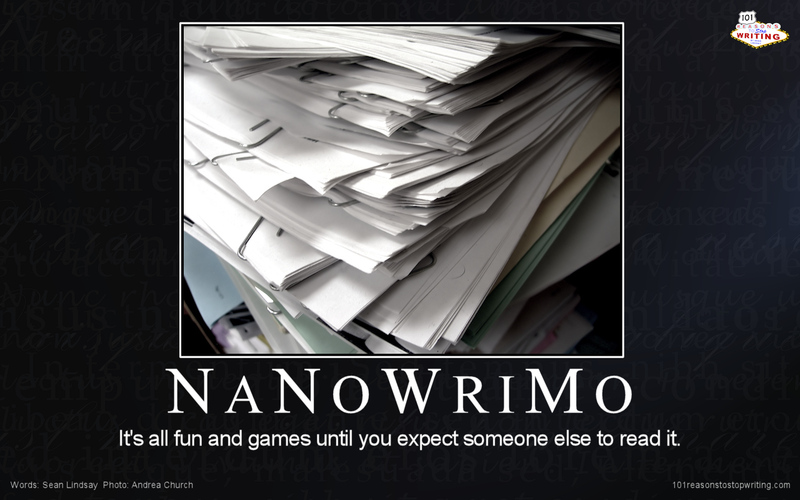 You don't have time to analyze your crap-writing. You just have to keep sludging (not a word, I know, but it fit...) through. 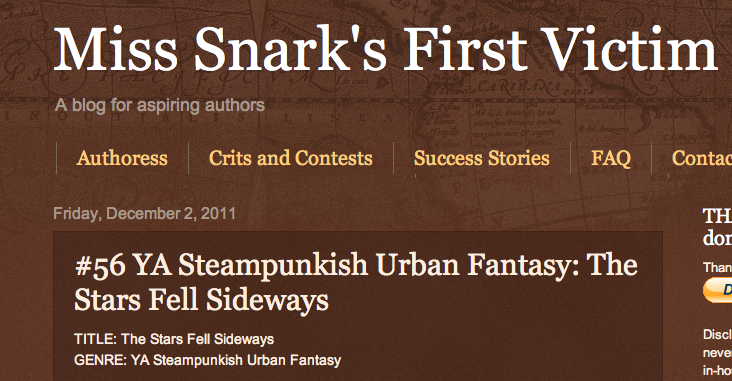 I like obsessing over my word count on the NaNoWriMo website. A little friendly competition never hurt anyone. Most of the time you have a seriously crappy draft when you're done. Which means a seriously LONG amount of revising. When you give up, those thousands and thousands of people writing with you, know it. You worry you won't go back to the draft. No? Just me? Sometimes writing fast like that isn't the right way for someone and they find that out. That's okay, at least you know, right? You revise the novel for *cough* 11 months then you are finally ready to query.